There a many different safety checklists out there for homeowners from holiday cooking to proper grill techniques. 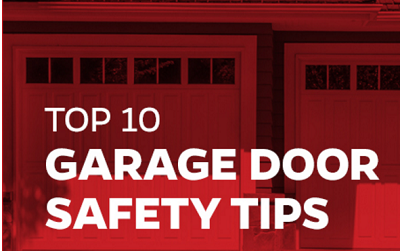 One aspect of the home that often gets overlooked by homeowners is the garage. The Garage is the home’s biggest door. According to AARP, an average of 20,000 people are treated in the hospital emergency rooms for injuries associated with garage doors. Protect your family. Protect your property. Please take note of these safety tips.Please take note of these safety tips courtesy of Garage Door Repair.